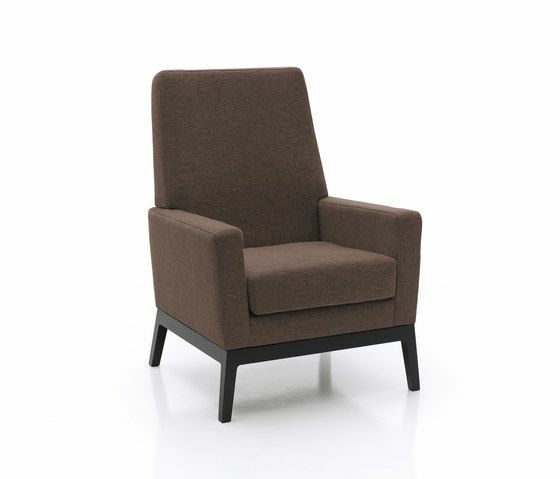 Alma armchair is a comfortable piece which provides a warm space to the domestic environment. A classic model turned into a contemporary shape. MATERIALS: – Solid wood frame. Suspension made with Nea elastic webbing, guarantee of quality 10 years. – Seat cushion in HR 35kg/m3 foam with 200gr heat-sealed fiber. – Back in HR 35 kg/m3 foam with 200gr heat-sealed fiber. – Base, available options: fixed leg in wood or swivel chromed leg.